What is a dinosaur? While this is a simple question that can be answered with a simple answer, it doesn’t mean that it isn’t very fascinating. To learn exactly about these magnificent creatures you really have to go back over 231 million years ago. 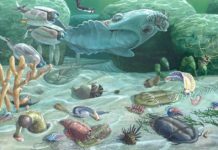 Back to a period of time known as the Triassic Period. This is when the first dinosaurs are believed to have appeared on the planet. 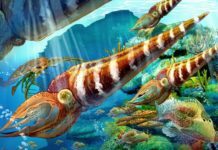 They would then go on to rule the planet for over 165 million years. 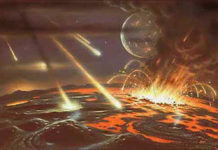 This is when the Cretaceous–Paleogene extinction event destroyed seventy-five percent of all of the animal and plant species on Earth. While it was believed that all dinosaurs died during this extinction event, that is no longer believed to be true. Birds are now considered modern dinosaurs and as such, are believed to have been the only dinosaurs to survive this cataclysmic event. Some people think that dinosaur bones weren’t discovered until the eighteenth century, which really isn’t correct. People have been finding the bones of dinosaurs for thousands of years. People just didn’t know they were dinosaurs. They either attributed them to mythical monsters or created mythical monsters to explain their existence. For instance, in ancient China, they were thought to be the bones of dragons. The Romans and Greeks thought they were giants, ogres and griffons. They wouldn’t “officially” be discovered until the late seventeenth century in England by an English naturalist named Reverend Plot—although he didn’t know what is was when he found it at the time. He instead thought it was the thigh bone of a giant. It wasn’t until 1824 that it was named Megalosaurus by William Buckland. Thereby officially launching modern study of dinosaurs. Dinosaurs are a pretty varied group that lived all over the globe. They lived on each of the seven continents and each had their own specific biology. 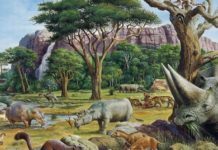 There were thousands upon thousands of different species of dinosaurs. Just take a look at birds. They are now considered modern dinosaurs and there are over ten thousand species’ of them. Imagine just how many have existed throughout history. 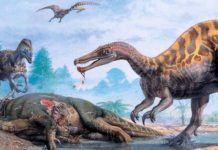 There were herbivorous and carnivorous dinosaurs. There were ones that walked on two legs and ones that walked on four. There were really small ones and really large ones. Dinosaurs of every shape and size. Some of which we haven’t discovered yet. 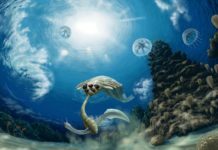 Every few weeks or months, paleontologists are finding new specimens—thereby increasing our knowledge of these creatures. While you would think that the name “dinosaur” would yield a answer to the question, “what is a dinosaur?” I assure you it does not. That’s because “dinosaur” means “terrible lizard” and one of the first things we’re taught about dinosaurs is that they aren’t lizards. As you can see, in order to answer the question “what is a dinosaur?”, you really have to look across many different disciplines. Everything from history to biology. And maybe just a little bit of imagination. After all, they were some of the most magnificent creatures ever to walk the planet. © NewDinosaurs.com, 2019. All rights reserved.